7902 Village Point Drive, Louisville, KY 40291 is a must see ranch style home in Eagle Crest. The home is well maintained with a brand new roof and includes a two car attached garage, four bedrooms, and finished basement. The front entry is beautifully tiled and leads to the Great Room featuring vaulted ceiling, fireplace, two new skylights, and neutral decor. A bright Eat-In Kitchen offers black appliances and white cabinetry. The sizeable Master Bedroom includes a tray ceilingand private Master Bath with a shower and long vanity. Two good sized secondary bedrooms, a walk in Laundry, and Full Bath complete the first floor. The fully finished basement is comfortable and warm with a large Family Room, a hobby room, and an additional Bedroom that connects to a half bath. You will absolutely love the great back yard with sunny Deck and above ground pool. Two outdoor storage units make it easy to keep up with pool and lawn equipment. The partially fenced yard is enclosed by a six foot vinyl maintenance-free fence. 7902 Village Point Drive, Louisville, KY 40291 is in a fantastic location with quick access to expressways and shopping areas. Let us know if you would like to set up a showing! To see other Louisville homes currently on the market, please browe our free search feature or check out other Louisville Neighborhoods. 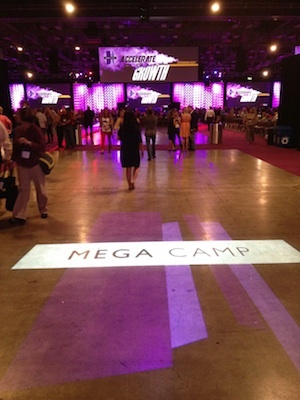 Mega Camp is a real estate event that happens once a year in Austin Texas. Top Real Estate Agents gather from across the country and discuss ways to improve their businesses and their lives. This year Perry and Lynn represented the At Home in Louisville Team to the rest of the nation. They spent the week at Mega Camp and learned from the best. 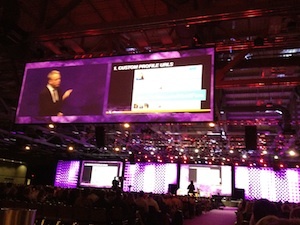 Day two was Gary Keller explaining the numbers of the real estate industry both as a nation then state by state. The analysis really painted a picture of where the real estate market is and the best scenario to deploy to create the greatest advantage for our clients. Gary Keller then wen on to interview agents to discuss such topics as, how to find and use virtual assistants in our business. Gary also examined what a mega agent team looked like. Wat were the roles of the different team members. How many were there? 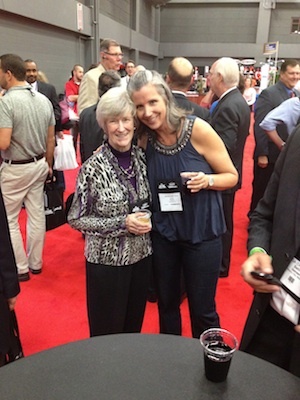 How is a mega agent different from an average real estate agent? What do they do differently? How are they creating so much business? Why do people prefer doing business with them? The last day was all about leadership training. Having a big team is wonderful, but having a great team is everything. Great mega teams come about through great leadership. John Maxell says, "Business rises and falls on leadership." Understanding leadership and how to employ it on a mega real estate team is the difference between having a large team and having an effective team. Mega team leadership discussed, numbers being the language of business and how to use them with our clients and our team. Being the local economist of choice. "What are the habits we are implementing each day to make our businesses and our lives better?" "How are we inviting accountability into our businesses?" The day ended with John Maxwell teaching on the 5 levels of leadership. John shared his experience with Keller Williams and said, "I don't know any company that wants to develop people like Keller Williams." What is interesting is he was referring to all companies, not just comparing Keller Williams to other real estate companies. That could very well be one of the reasons why the company as a whole is so successful. Mega Camp was incredible. Perry and Lynn came away from it refreshed, energized, and packed full of new ways to make At Home in Louisville even greater than it already is. Their desire is to bring the most value to their clients and their team. Mega Camp is a critical tool to help our clients find their homes in Louisville make that happen. 1137 Oneida Ave, Louisville, KY 40214 is a lovingly maintained four bedroom home within walking distance to Iroquois Park! 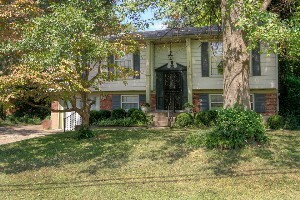 The house is positioned on a wonderful shaded lot in the Iroquois Hills subdivision. 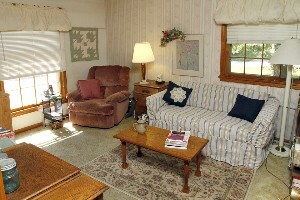 The Living Room is spacious and opens to a nice sized Dining Area. The Kitchen includes plenty of cabinet space and conveniently exits to the Dining Area. A good sized Master Bedroom contains two exterior windows for natural light and a large closet. Two pleasant secondary bedrooms and a full sized bathroom are also positioned on the first floor. One of the secondary bedrooms is currently used as an additional living area. The finished walk-out basement offers loads of extra space. 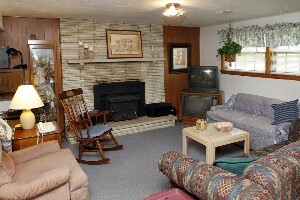 There is a comfortable family room with a fireplace, another Bedroom, a Den, and a Laundry Room. The Family Room connects to a Recreational Room. The existing carpeting has great original hardwood flooring beneath that could easily be refinished. The Back Yard is a quiet space with a Deck enclosed by lattice work. The home also features a 2 car detached garage. 1137 Oneida Ave, Louisville, KY 40214 is a fabulous option among Louisville Homes offering space to grow in a peaceful location.